A high season surcharge applies for travel 13 – 22 June and 10 – 23 December 2019 of approx. R2 000.00 per person. 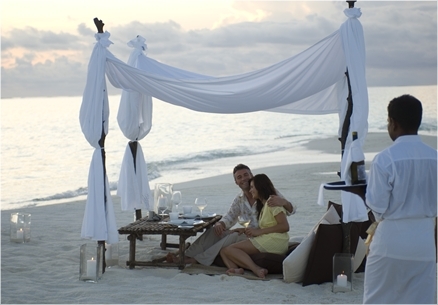 Honeymoon inclusions: – Fruit basket and bottle of champagne on arrival, 3 course candle light dinner. 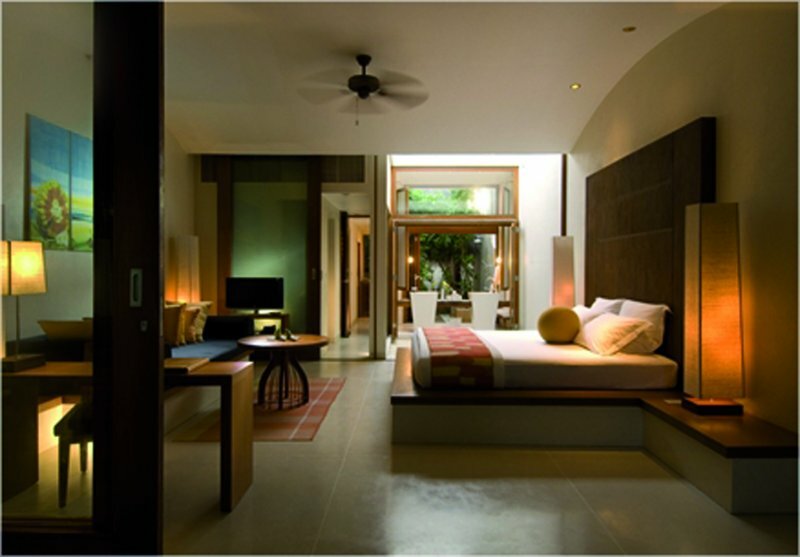 *Pay for 5 nights, stay for 7 + 10% Early Booking discount, 60 days prior to arrival, upgrade to complimentary half board. 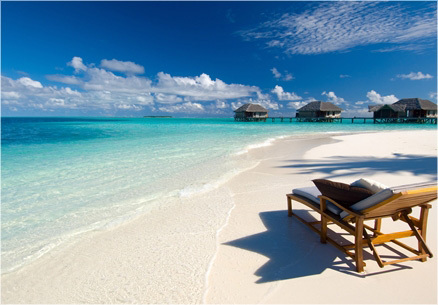 Rates are subject to currency fluctuation, availability and adjustment based on exact departure dates. Discover barefoot luxury at the award-winning Conrad Maldives Rangali Island resort, set on two private islands among miles of idyllic white-sand beach and unspoilt reef. Arrive at the Maldives hotel in style in a seaplane over the lagoon, dine in the world’s first all-glass, undersea restaurant and indulge in luxurious spa therapies. Ocean-front living, beach views, a private terrace and a wonderful outdoor garden-bathroom. 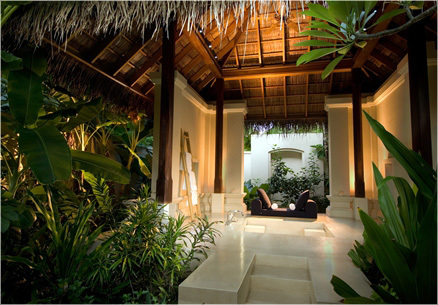 The villas boast a natural décor and local touches that have a true Maldivian feel. 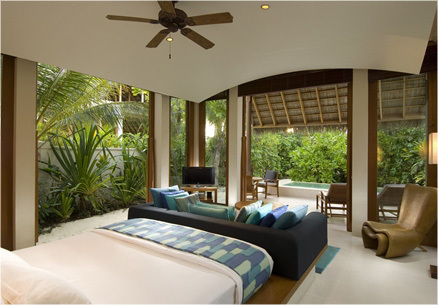 Set on the beachfront on Rangalifinolhu Island, and full of light and space, all Deluxe Beach Villas combine spacious interiors and exclusive furnishing to produce a sophisticated blend of luxury and natural harmony in a contemporary Maldivian style. 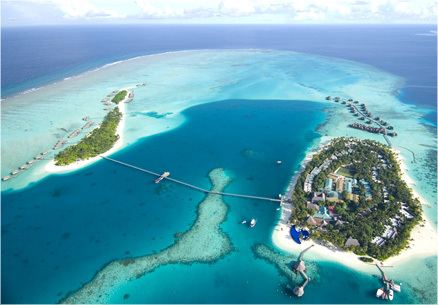 Offering a true taste of Maldivian luxury and design. 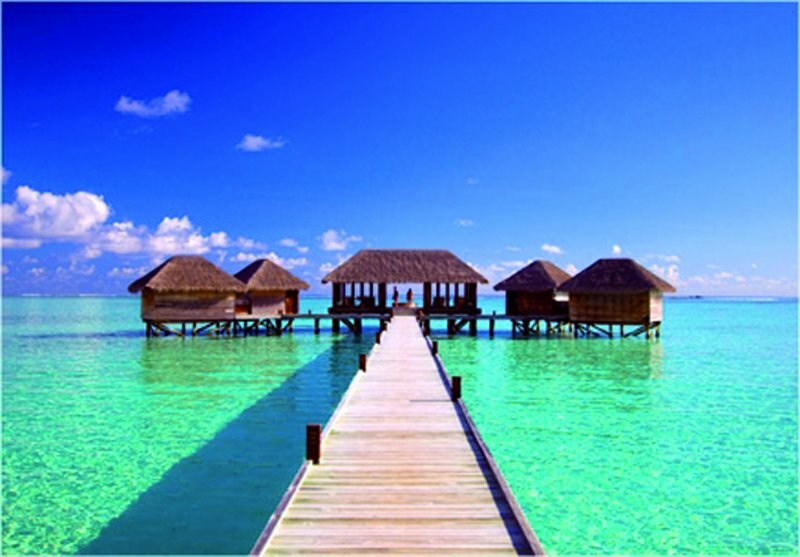 Experience island life in one of the Conrad Maldives Rangali Island’s 12 Superior Water Villas are set on stilts above the alluring azure waters of the Indian Ocean. 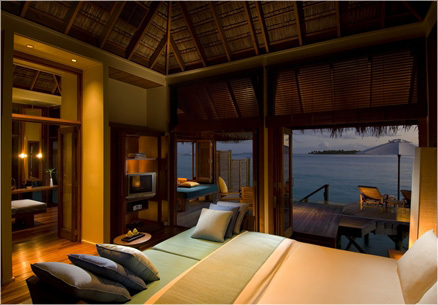 Built on stilts over the turquoise Maldivian waters with sweeping views of the Indian Ocean and the resort’s beach. 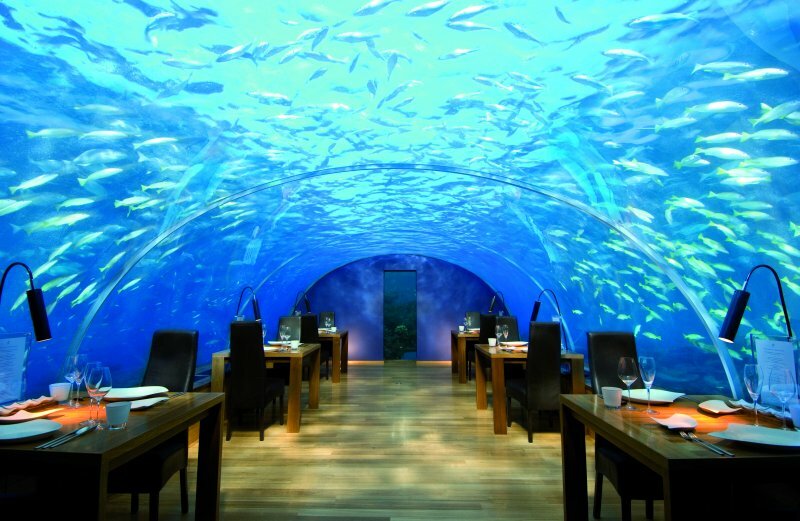 Ithaa is the only all glass undersea restaurant in the world. 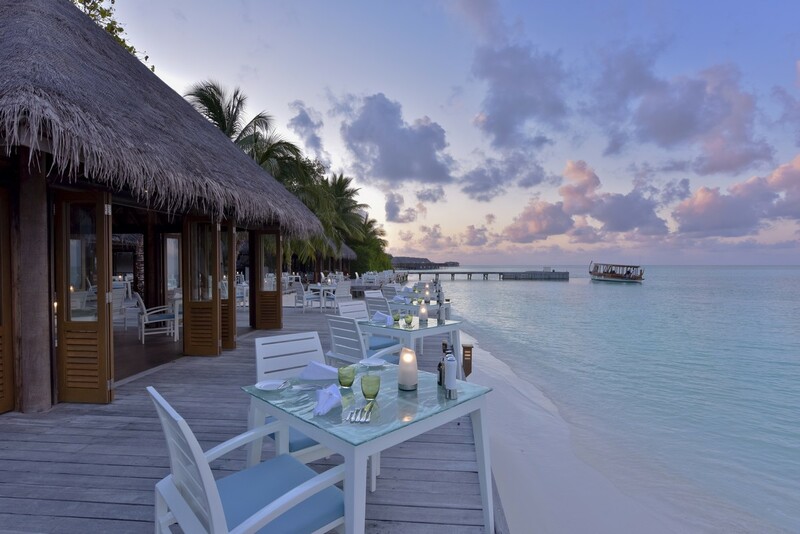 Set five meters underwater on a coral reef, Ithaa’s innovative glass aquarium design gives diners 360-degree views of the surrounding reef life, while offering an exciting and novel fusion Maldivian-western menu. Ithaa, which means ‘’pearl’’ in the local language, promises a unique dining experience, with humans inside the aquarium and the fish looking in. In an idyllic beachside setting between the lagoon and the Japanese Water Garden, guests are seated around the grill where a chef prepares Japanese-European fusion style Teppanyaki exactly to their liking. Ground-level seating and intimate service, combined with the beautiful vista and delicious food, makes the Koko Grill a discrete yet popular choice with guests. 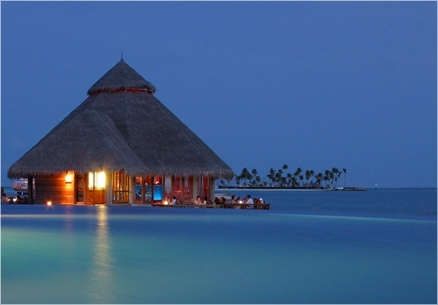 Mandhoo Spa restaurant offers innovative and enjoyable spa cuisine. Set on stilts over the lagoon about 100 metres out to sea, Mandhoo is part of the Spa Retreat and offers light and balanced cuisine with dishes made from the freshest organic foods, as well as freshly squeezed juices and smoothies. Named after a nearby island, Mandhoo’s idyllic location in the lagoon ensures a refreshing tropical sea breeze and endless ocean vistas. This chilled cellar sits six feet below sea level and features a selection of 600 fine wines. The Wine Cellar is a paradise for wine-lovers: sit with the resort’s sommelier at the communal table fitted with interactive personal screens, while a five-course degustation menu is presented by the Chef, and each dish is paired with a matching wine. Please note that reservations are essential, and that we cannot accept bookings for children aged under 18. The marriage of a spectacular wine cellar and excellent gourmet cuisine, Vilu Restaurant offers skilful, contemporary Mediterranean cuisine with an Asian twist, and showcases an exceptional wine collection. The Master of Wine and Sommelier has taken the guesswork out of selecting the bottle that will match your tastes and the menu, as all wines has been carefully tasted. Sound, professional advice is also provided to help diners select from the wine list. Dinner reservations are essential. With its sand floor, day loungers and nightly entertainment, the Rangali Bar is the ideal spot to relax with friends and family. Sip classic cocktails, order a light snack, have Nar guile (traditional pipe), or just settle onto a lounger and soak up the views over the lagoon. Cheese, cheese, cheese… A small, intimate bar with black sand floor and designer lighting, this Maldivian bar combines the excitement of matching 101 of the world’s best cheeses with a great variety of wines. An extensive tasting menu of cheeses, wines and breads is The Wine Bar’s main attraction, and selected nights are dedicated to ‘cheese fondue’ or to a special ‘wine versus chocolate’ challenge. Reservations are essential. 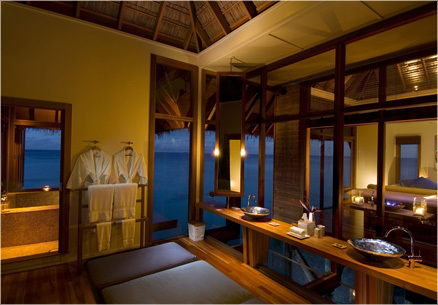 A magical spa experience awaits at the Conrad Maldives Rangali Island. From the Spa Retreat, offering holistic therapies in a stunning lagoon setting, to the Over-Water Spa – the ultimate sanctuary to celebrate the art of love – the luxury Maldives Spas offer innovative treatments that work to heal both body and mind. 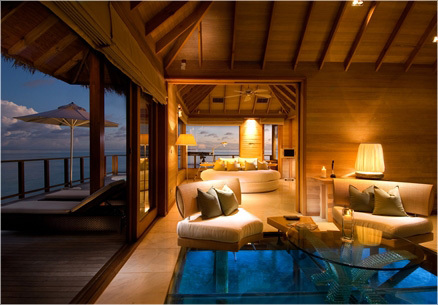 Start planning your unforgettable getaway to this Maldives spa resort. Majaa at the Conrad Maldives Rangali Island resort offers younger guests and their parents a unique entertainment experience during their stay. All 3-12 year olds are kept busy from 08:30 until 18:00 and from 19:00 to 22:00 with an outstanding themed daily programme specifically tailored to different age groups. A wide range of indoor and outdoor activities are hosted by the highly-trained youth team members, including several programmes which allow families to spend some quality time together in paradise. From tossing water balloons during the Beach Bash to dancing at the Glow in the Dark Party, younger guests will enjoy themselves within a fun stimulating and safe environment. The unique Kids’ Spa programme, aimed at 4-12 year olds is designed to give an insight into the secrets of spa therapy and help those busy children unwind! At Majaa, each day is a new adventure with fun-filled entertainment younger guests and relaxation for their parents.